Memorable gatherings start with fantastic furniture. Your own memories of childhood celebrations and adult entertaining always feature people you love gathered around for a fabulous meal, drinks, or desserts. 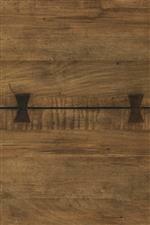 Create more lasting memories with the one-of-a-kind look of this live edge wood table. The live edge look has a rustic industrial edge to it that proves the perfect companion for this classic, Scandinavian farmhouse style table. Note the craftsman touches in the table top's eclectic use of butterfly joinery. 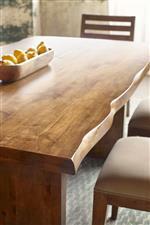 The Traverse Cutler Live Edge Trestle Dining Table by Kincaid Furniture at AHFA in the area. Product availability may vary. Contact us for the most current availability on this product. 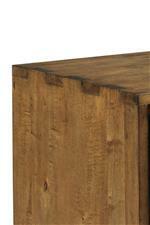 The Traverse collection is a great option if you are looking for Mid-Century Modern Rustic Industrial Contemporary furniture in the area. Browse other items in the Traverse collection from AHFA in the area.